Random House Canada, 9780735273924, 224pp. 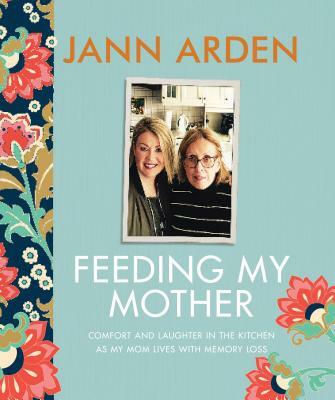 Based on her hugely popular Facebook posts and Instagram photos, Feeding My Mother is a frank, funny, inspirational and piercingly honest account of the transformation in Jann Arden's life that has turned her into the primary "parent" to her mom, who is in the grip of Alzheimer's. Jann Arden moved in to a house just across the way from her parents in rural Alberta to be close to them but also so they could be her refuge from the demands of the music business and a performing career. Funny how time works. Since her dad died in 2015, Jann cooks for her mom five or six times a week. Her mom finds comfort in her daughter's kitchen, not just in the delicious food but also just sitting with her as she cooks. And Jann finds some peace in caring for her mom, even as her mom slowly becomes a stranger. "If you told me two years ago that I'd be here," Jann writes, "I wouldn't have believed it. And yet we still fall into so much laughter, feel so much insane gladness and joy. It's such a contrast from one minute to the next and it teaches me constantly: it makes me stronger and more humble and more empathetic and caring and kind." The many people who are dealing with a loved one who is losing it will find inspiration and strength in Jann's wholehearted, loving response and her totally Jann take on the upside-down world of a daughter mothering her mother. Feeding My Mother is one heck of an affirmation that life just keeps on keeping on, and a wonderful example of how you have to roll with it. JANN ARDEN is a singer, songwriter, broadcaster, actor, author and social media star. The celebrated multi-platinum, award-winning artist catapulted onto the music scene in 1993 with her debut album, Time for Mercy, featuring the hit single "I Would Die for You." A year later she had her international break-out hit, "Insensitive." She has written four books, the most recent being the Canadian bestseller Feeding My Mother: Comfort and Laughter in the Kitchen as My Mom Lives with Memory Loss. She is much in demand as a public speaker, and a favourite frequent guest on CBC's Rick Mercer Report and a guest host on CTV's The Social. Jann's most recent recording "These Are the Days" released in March of 2018, is available now. Find her on Twitter @jannarden, on Facebook, and on Instagram.